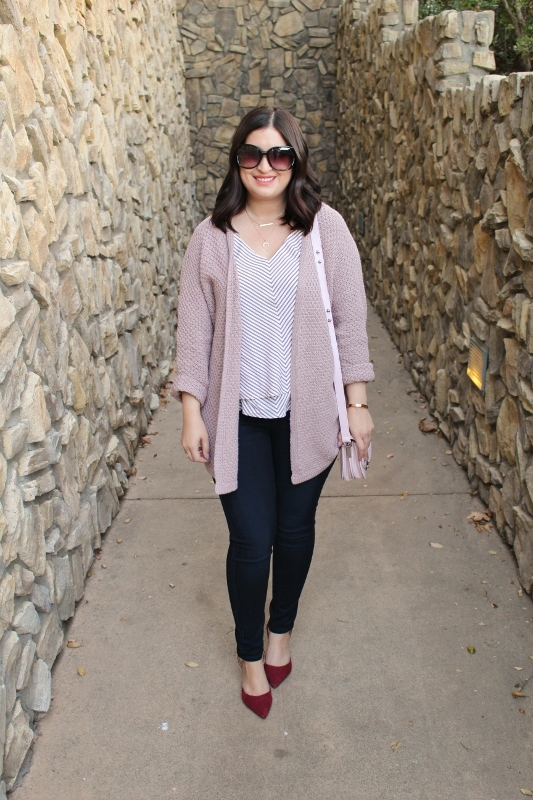 True story about my favorite cardigan (and I might have mentioned it before) but this is actually my second one. No, not because I'm crazy and wanted another but because Nettie unfortunately had a "bad dog" moment and ruined my first. I gave in as she stared up at me with those big sad puppy dog eyes. She knew she was in trouble. Anyways, I tried to forget about it but when I saw that it had been restocked for Fall, I ordered it! It's the softest knit in the prettiest color. I do wish it were a bit more fitted but that loose oversized feel makes it extra cozy. I love taking a chunky sweater and pairing it with leggings or denim. It's perfect for running around town when you still want to look put-together. Most of what I'm wearing is recent so you should be able to find them if you're interested! I hope you guys have a great day. My thoughts and prayers are still with those in Las Vegas, as well as Puerto Rico. It's difficult to blog about trivial things when so much pain is around us. The best thing we can do is express love to one another. 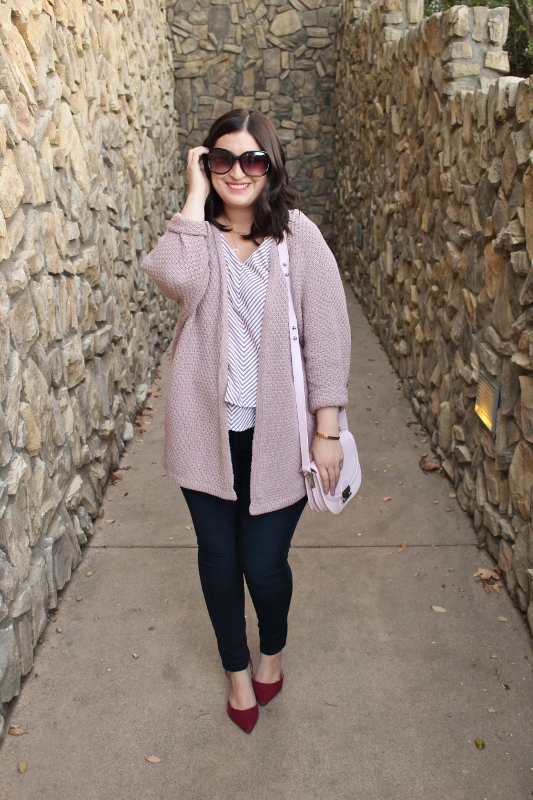 This cardigan is so cozy and cute, you look adorable. That cardigan is just beautiful! I love the cozy feel and beautiful color! Oh my! 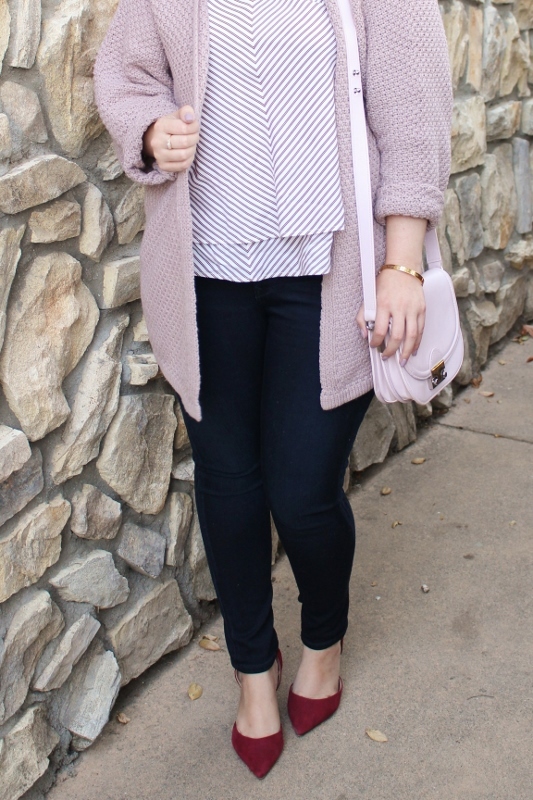 That cardigan looks super amazingly comfy! And the color is gorgeous! Love this on you! !